Got a letter from GM about potential cracks on the top surface of the left fuel tank fuel pump. It is not a recall but rather a notice that repairs will be done at no charge if the problem occurs. So far mine seems okay. What is your VIN (early or late production?) Mine is very early (#307) and am wondering how many it may affect. Since these vehicles are basically out of warranty by now they must be honoring the repair as a safety issue. I assume you mean the last 3 letters of the VIN? If so it is 365. They advise to hang onto their letter and if a problem occurs in 10 year or 193,000 kM they will do the repair at no charge. They will also reimburse anyone who has already paid for the repair. Btw this is GM Canada. Sounds similar to the special 10 year warranty that my 04 for the Cross Over gas tank problem. It also went by VIN number. Only certain VIN numbers were covered. Special warranty only covered Cross Over problem. Last edited by Borntorun04/17; 05-11-2018 at 04:34 PM. This has been going on over past 3 generations. Couldn't a better material been used for the damned collars? Add it to recurring lousy harmonic balancers. At least if it does happen, it's covered. Covered for the next 3 months on my 09, and then it's my dime that is going to have to pay for another one of GM's screw up. Must be something in the plastic they use industry wide as my Craftsman riding mower had the problem with the gas tank cracking and leaking at the top. It was about 7-8 years old when that happened. At least, with the mower, it was $50 for a new tank(and gas cap) and took me about 15 minutes to change out(and that included a coffee break midway). I doubt I'll get off that easy if it happens to my 09 Z06. Last edited by JoesC5; 05-11-2018 at 05:03 PM. Precisely my gripe, GM keeps using the same crap why? Tank collors. Fuel senders. AB. Poor MC design. Good grief and none of it's a 'cheap' when fixes start at $2K. I've an '08 Z06, unsold/untitled 'til I took delivery in 03/09. At GM's 10 yr mark now, but also thankfully GMEPP covered 'til '19. Flipping for this one on my dime would severely **** me off. Last thng I'd have guessed hearing was the SOS re tank collars cracking w/ 7s. Last edited by Landru; 05-11-2018 at 05:32 PM. Here's the part that dealer said was bad on my 04. I think he called it BUNG or something like that . Seems different than potential cracks on top surface of the left fuel pump that was stated in OP. 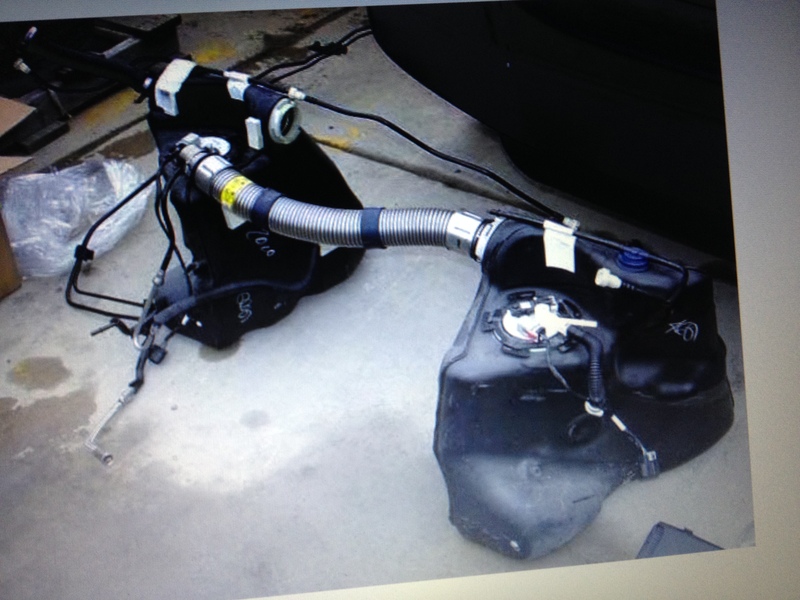 Pictures are of 04 fuel system so there's no confusion. Location: Georgetown, ON Canada EH ! Just received the same notice today for my late build 2016 Stingray. Special coverage program 17469 for potential leak from the left fuel tank fuel pump module flange. Don't have a letter yet, but 17469 shows up on my GM owner's center. (10 yr, 120,000 mi). 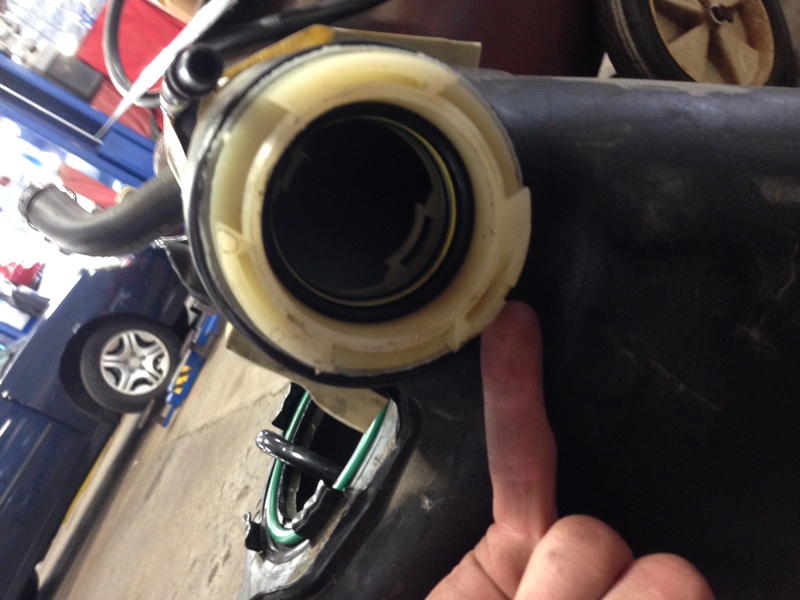 Also have 16009 which is special coverage for a potential faulty fuel tank inlet valve (5yr, 60,000 mi). 2014 built on April 15, 2014. Mine is a 2017 and I got the letter. Just got a letter from GM Canada re potential cracks on top of the gas tank for my 15 convert # 21310..special coverage program 17469. Traded this car about 1 1/2 years ago and it was wholesaled to someone in Arizona. Had to have mine replaced when I had my '14. Took them 3 days to.do the repairs as its quite involved. Basically had to drop everything from the torque tube back. Who makes the best Stage 2 splitter? ?